SaaS, Cloud Computing and Mobile changing the way of web hosting, it was indeed needed to be changed. Web applications are changing by providing online services. We previously discussed very closely related articles like Cloud Computing and Mobile Computing, Cloud Computing Brought the Success of Tablet Model of Computing, Challenges in SaaS and Mobile Applications and more such articles. In this article on SaaS, Cloud Computing and Mobile changing, we will discuss an another aspect of this combination. PaaS has fully changed or at least changing the concept of self hosted softwares. Now one small CMS or Web Application can be hosted fully free cost, thats too with SSL in some cases with App Fog, Heroku Cloud like services. As we have pointed before, the importance of device specific SaaS like for iOS, Android and others are growing demand for easiness to use any free or paid online services which can actually be used via the browsers from a mobile device. There is practically not much development on Browser software aspect. If the PaaS model was not present with free tier, we would fail to progress the development of SaaS, Cloud Computing and Mobile Apps as Free Software under GNU GPL. For a free application, no developer would pay the cost if PaaS providers was not ready to deliver the freemium model. Most importantly, this whole thing is pushing the Authors like us to test, create video tutorials for free of cost. This becoming a major key factor in learning UNIX / Linux Server commands. Every mobile device user needs are changing in the way in which consume the communication and application services online, which clearly means destruction of older model previous models are important constructive part – take the example of Whatsapp. This trio as a whole giving a boost to those who want to innovate, code and to improve their software oriented services. 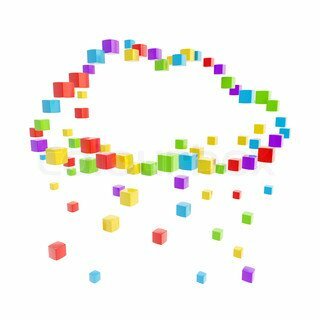 Cite this article as: Abhishek Ghosh, "SaaS, Cloud Computing and Mobile : 3 Factors That Changed Many Things," in The Customize Windows, February 6, 2013, April 23, 2019, https://thecustomizewindows.com/2013/02/saas-cloud-computing-and-mobile-3-factors-that-changed-many-things/.